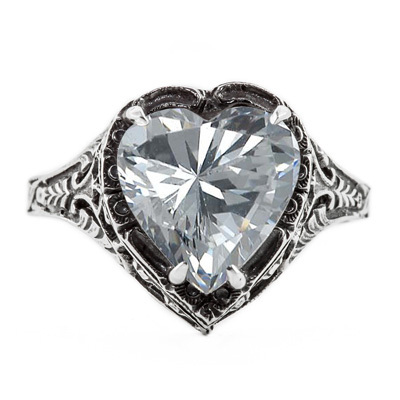 Adding a dash of 1920's Gatsby style in a heart shaped ring. Dazzling! The man of your dreams is down on one knee and he asks you for your hand in marriage. Your dream that you have had since you were a little girl is coming true. When he slips this heart shaped sparkling filigree cubic zirconia ring on your finger, the beauty will touch your heart and nourish your soul. 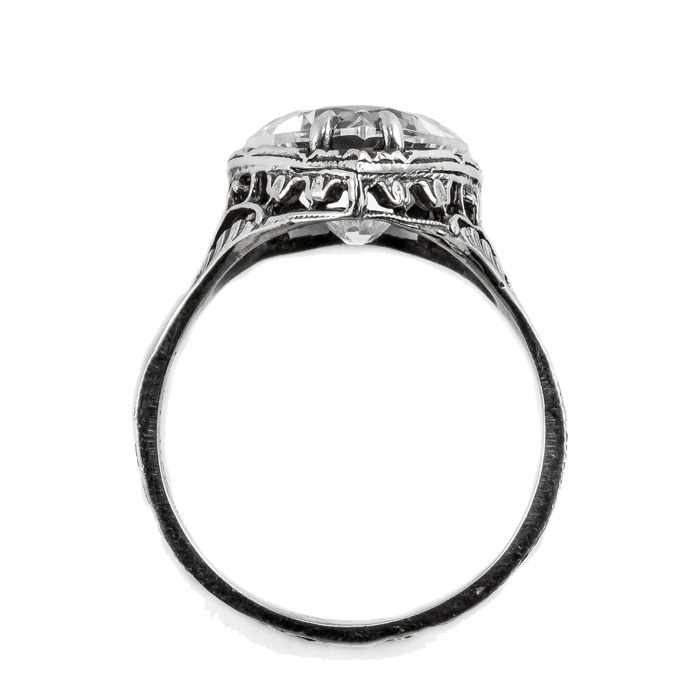 Set in a polished vintage style 14K white gold band, the fashionable design will inspire your special day. Measures 10mm and is ready to ship today. Please reference our ring sizing chart and buy one today. This 14K white gold engagement ring is the perfect symbol of your love and an amazing way to start the rest of your life. 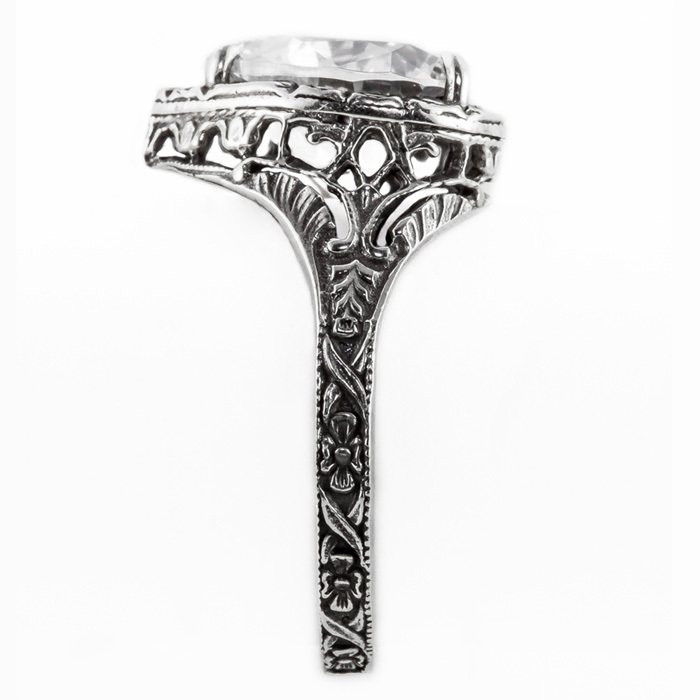 We guarantee our Vintage Filigree CZ Heart Ring in 14K White Gold to be high quality, authentic jewelry, as described above.